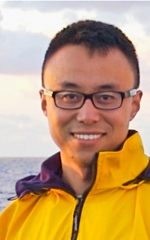 My research focuses on improving our understanding of the physical processes that drive transport and mixing in coastal oceans at mid- and high latitudes. These processes can affect the transfer and storage of heat, freshwater, nutrients, organic material and pollutants in coastal marine environment. I mainly use an observational approach, employing a range of sampling platforms such as AUV/gliders, floats/drifters, satellites, HF-Radar, moorings, and ships. I am currently looking for a new graduate student to join my lab for the Fall of 2017.